I spent a mother-daughter day with my mom a couple of days ago. I don’t know about you but when me and my mom get together there is absolutely no topic that is off limits. Sometimes the topics get a little uncomfortable, but I survive! The best part about our time together is that I always leave learning something new. My mom is 72 years old and I have to say she looks really good for her age. She was always a beautiful woman but I have to say she is aging very gracefully. I hope that I got her genes! When I was over there the other day we were talking about how good she looks. Our conversation moved to how smooth and soft her skin was. That is when she shared her beauty secret with me. Now, I have to tell you, I have known this woman my entire life and I never knew that she did this. This is her natural hair color, NO Gray! UPDATE: I have been doing this for a week now and here are just a few tips. First, run the baby brush under water (to soften the bristles). Then, put a fairly thick coat of Cocoa Butter lotion on your face. Use the baby brush in a circular motion all over your face and neck. Once I have rinsed my face I then use 100% pure Cocoa Butter all over and wipe it off with a dry cloth. My face feels soooooo smooth and hydrated when I’m done. 1. Never use any kind of soap on your face. 2. Wash your face with cocoa butter lotion (she gets hers from the Dollar Store). 3. Rinse with a warm cloth. 4. 2-4 times a week exfoliate with a baby brush. (I always wondered why she had a baby brush, I just never thought to ask). 5. Always keep your skin moisturized. She blew me away with this. I knew how good Cocoa Butter was for stretch marks, I used to slather it all over my belly when I was pregnant and I never got a stretch mark. For some reason it never occurred to me to use it on my face. Her method for exfoliating was just as shocking. I can’t believe that I wasted so much money buying one of those spinning exfoliating wands when all I had to do was buy a cheap little baby brush and it would do the same thing. As soon as I left my moms house I drove directly to the Dollar Store, I had to try this. I spent just $2.00+tax for something that I was spending a lot more on before. I have to tell you the results were the same as what I was getting with all of my expensive lotions and gadgets. She won me over! When I got home I decided to do a little research on the benefits of Cocoa Butter. I already knew the results from using it on my pregnant belly, but I wanted to know more. Take a look at all of the benefits that I found, WOW! I have decided that I’m going to take moms beauty secret a step further. I am going to use 100% Pure Cocoa Butter instead of the lotion. It’s a little more expensive but you are not getting all of the additives that they use in the lotion. I am totally buying these items and doing this!! Your Mom does look Great!! And smart too!! I'm off to the store to get the 100% Cocoa Butter. I will forward your comments to my mom I know she will love to hear it. Beautiful Lady!!! and now I know part of her secret (the other part I'm sure comes from within) so heading out to get the goodies! thanks for the tip! visiting from Social Sunday's at Evelyn My Time (for us) bloghop! Thank you for the lovely comment. She is a beautiful woman on the inside for sure. I would love it if you would come back and let me know how this worked for you. These are great tips! I just got back to what I used to do use in grad school (diaper lotion and Nivea). I'll have to try this. I would love if you would share on Inspired Weekends, open through Thursday! You will have to share your diaper lotion and Nivea tip with me sometime. I will surely be by on Thursday. Clever! I will have to try this! I love tips like this – the ones that don't break the bank. This is great timing. I've been looking for a face cream but everything I've liked is way out of budget! Thanks for sharing! I love these frugal solutions as a replacement to their expensive counterparts. Cool! When you use the baby brush, is your face wet or dry? Or do you use the cocoa butter lotion? I have terrible dry skin in the winter and always looking for new solutions that don't break the budget. Thanks. for sharing. You have a think coat of lotion on your face when using the baby brush. I have been using it on my legs and arms too because they get so dry in the winter. Let me know how it works for you. I am loving it so far, I have only been doing it for a few days. I loved this story. Had to share it on my New Nostalgia Facebook Page. Thanks for linking up! I had bad acne when I was younger, I have scarring to prove it. Even now I still get some occasional acne. Since starting this I have not had any breakouts. I am following you too. I added your button to "Where I Party!" I will be by on Monday to share my wares. Thank you. Great tip. I use this lotion, but haven't tried your technique! New follower. Follow me back. Thank you for the follow – I am following you back. I'm sure my mom will love the nice compliment. Thank you for the follow and I will be visiting you again on Tuesday. You have no idea! She is one of the most quick witted people that I know. I am a new follower! that is an interesting idea, I may have to check cocoa butter out. I found you on the Thirsty Thursday BH. I highly recommend giving it a try – I'm lovin' it! What an interesting tip! Thanks for linking up with Katerine's corner. Found you via the blog hop. I am going to try this! Thanks for sharing. Thanks for coming by and checking it out. I hope you love it as much as I am. I am your newest follower. I will be joining you on Thursday to party and hope that you will come by on Wednesday and party with me. That's exactly what I thought when she told me about it. I'm your newest follower! I found you via the You like Me blog hop. 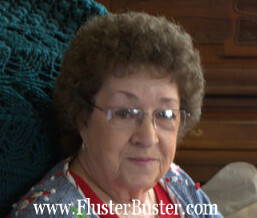 I really hope you can stop by my blog and return the follow if you like what you see. I'm hoping to have 100 followers by Feb. 1st! Thank you Mary Beth, I'm following you back. I so happy that you found me. Good luck with the goal. Your mother does look like she has great skin! She really does. She was really upset with the picture that I chose for the post. Thank you for coming by Katherine. What an interesting tip, thanks for sharing! Thank you for the invite. I'm glad that you liked the tip. Very interesting. I never knew how amazing cocoa butter was. Thanks so much for sharing! I was really surprised at all of the benefits too. Thanks for coming by. What a great post, and I have to buy some! Thank you so much for sharing at A Bouquet of Talent. I am so thrilled to have you share. I apologize for just now visiting. I always do my best to visit my guests!! I have had one of those weeks. 🙂 I love your blog, and I'm your newest follower. Have a wonderful weekend. Thank you Kathy for coming by. I'm glad that you liked the post. Thanks for sharing this! I think I am gooing to give it a go. I am sure I have Cocoa Butter in the house. Thank you coming by Amy. I hope that you like it, I know I do. Wow, what a great idea! I only thought of a pregnant belly too! It makes sense that it would be good for the face too! Thanks so much for sharing on Super Sweet Saturday. Surprising isn't it. Thanks for coming by Stephanie. Great tip! I am almost out of my night moisturizer and just might have to find a bottle of this butter! Thanks for sharing. I used cocoa butter on my preggo belly too and got only post-baby stretch marks that now I can't even find. 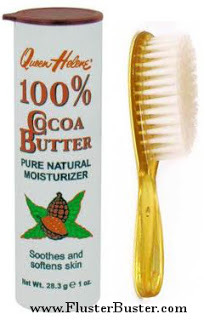 I think Cocoa Butter hasn't gotten the kudos that it should. Thanks for coming by. As soon as my mom told me about I ran to the store so I could try it. Totally love it. Thanks for stopping in Paula. I will pass on the nice compliment to my mom, I know that she will love to hear it. I'm so happy that you stopped by. I really like the smell too. I'm happy that this inspired you to try it. I will be back to share. I LOVE cocoa butter! I've been using it for years and haven't found anything better. Congrats. I am featuring you at my Super Link Party on Wednesday! I'd love for you to come by and check it out! Thank you for coming by and sharing your experience with the Cocoa Butter. Thank you for the feature too. My blog button can be found on my side bar. Oh my gosh, your mom really does look amazing. Can't believe no grey. I am pinning this and going to buy some at the dollar store and try it. Can't wait to see if it makes me break out. Yes, as old as I am I will still break out. I have very oily skin and I can't use any type of moisturizer or I wake up with a new zit. I swear I thought I'd not have to be worrying about that when I'm about to turn 60. Thanks for sharing this with Share Your Cup. I have more grey hair than she does, it makes me sick. Stop back by and let me know how it worked for you. Thanks for coming by. What a great idea, I can't wait to try it! Thanks so much for sharing it at SHOW-licious Craft Showcase! I love that so many people want to try this. Personally I really like it and I have only been using it for a little more then a week. Please come back by and let me know what you think. Thank you, I will pass your compliment on to her, I know it will make her day. Oh, I love cocoa butter & great way to buy some! Thanks for sharing @ DearCreatives.com Inspiration Spotlight Hope you have a great weekend ahead & see you again soon! Thank you for coming by Theresa. I hope it works as well for you as it is for me. I'm so pleased that you liked the post. I will definately be stopping by to say hi. doesn't the pores get clogged by the use of the butter? I haven't had any problems! It's a natural product and non-toxic. Do you leave on the cocoa butter after applying it or take it off too? I smear the cocoa butter all over my face and leave it on for a few minutes. Then I take a soft dry cloth to wipe it away. I am little confused with the directions…I hope you can clarify. So first you apply cocoa butter lotion, wait for a few minutes and then rinse with warm water/a warm cloth. Then once again you apply cocoa butter and wipe it away. Also once or twice a week, after applying cocoa butter, exfoliate with a baby brush, then rinse. After that apply cocoa butter and wipe away. Have I got the instructions right? I am a little confused as to why we have to wipe the cocoa butter away after rinsing. Can't we just apply it like a moisturizer? Why wipe it off with a dry cloth?